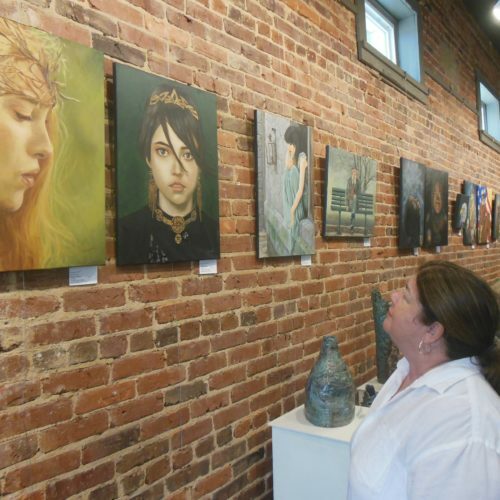 “Portraits and Pottery” exhibit at Artisans on the Square in Greenville, July 14 – August 11. 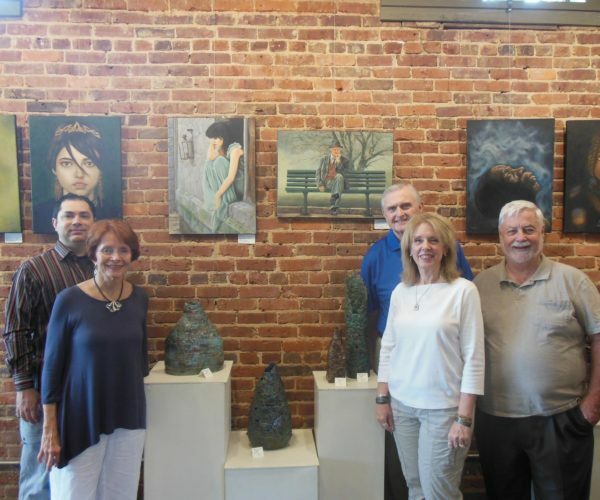 L-R Jaasiel Barrrientos, Gallery Manager, Linda Wilburn, Gallery Owner, Greg Dunn, former Fayette County Commission Chairman, Janet McGregor Dunn, featured ceramic artist, Steve Boykin, featured portrait artist. 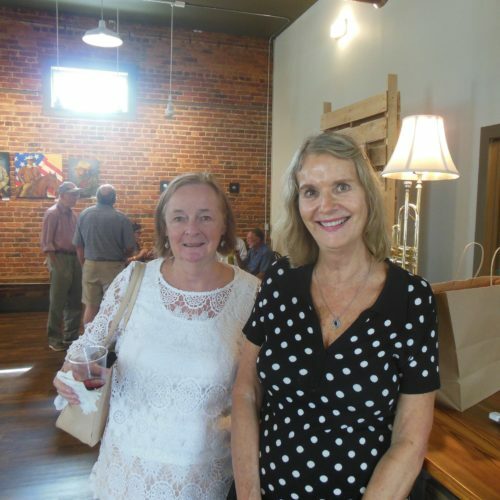 The opening reception for Portraits and Pottery was Saturday July 14 at Artisans on the Square in Greenville, GA. 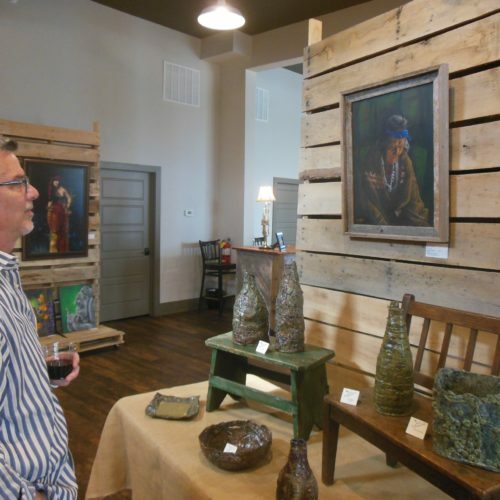 The exhibit features portrait artist Steve Boykin of Hamilton and ceramic artist Janet McGregor Dunn of Fayetteville. 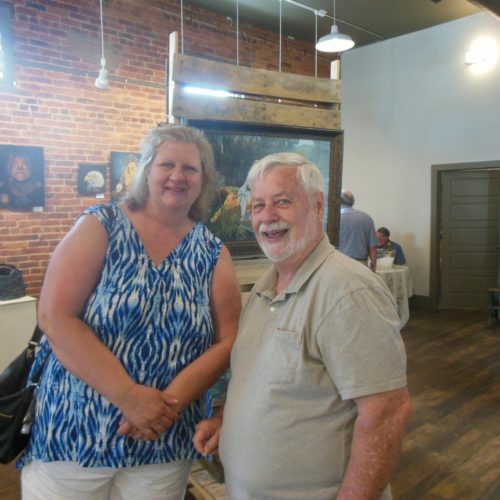 Their art will be on display until Saturday August 11 from Thursday – Saturday, 11am-5pm. Steve began a serious art career after retiring from his career as a substance abuse counselor. 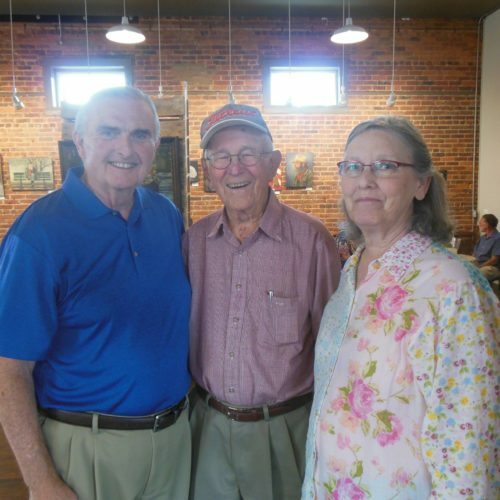 He was always interested in art but was encouraged to pursue a “more financially stable” education. He began by painting landscapes and still lifes until his passion for painting faces was born when he had the opportunity to paint with internationally known portrait painter Mary Carole Larson. His paintings reflect the beauty and innocence of youth as well as the wonderful life stories told in the faces of the elderly. Steve paints with oils and each of his faces contain 4 to 6 layers to arrive at the desired look, which requires patience and persistence and many days for each layer to dry. The end result is worth the effort – the facial expressions and eyes capture the very souls of the subjects. Collectors appreciate the fact that Steve never duplicates a painting or makes prints, no matter how popular the portrait is! 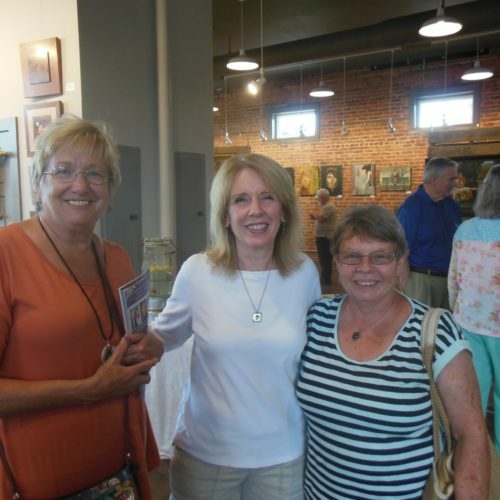 Janet is an artist with many talents, in painting as well as clay. Her passion is hand-formed, one of a kind pieces she describes as “earthy, often bluesy, sculpted clay” into which she combines her love of nature, music and color. Her work also progresses through multiple stages requiring weeks to complete. The initial creation of a piece might take days, then it needs a week or two to air dry before the first firing in her electric kiln for 12 – 14 hours. She then begins the process of glazing with multiple layers of glaze and sometimes the addition of glass. Each piece is glaze fired 2 to 5 times for 5 to 7 hours to create depth and build layers of glaze and glass. Two to three days is required for cooling after each firing before the pieces can be removed from the kiln. 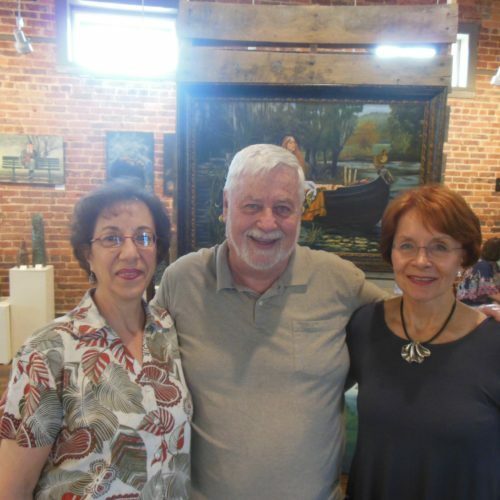 Steve and Janet are both active in the arts community through various art associations formed to promote artists and educate the public. 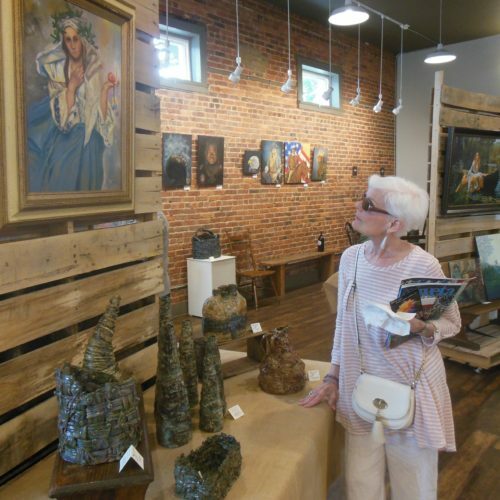 Both participate in the Southern Hands Artists Studio Tour, SHAST, which is a two-day driving tour of over 25 artist studios in Fayette and Coweta Counties. This tour is on the second weekend of November each year. For additional information on this exhibit and/or previous exhibits, click on Special Exhibits on the top Menu.